No shadows. Shadows falling on PV panels dramatically reduce the performance of Solar systems. There should be absolutely no shadow from neighboring buildings or trees from 8am till 5pm. Clear area on Rooftop. PV panels should be fixed facing true south at a 30 Degree inclination. This requires an area of 6.5 sq.m /KWp installed of inclined roof. 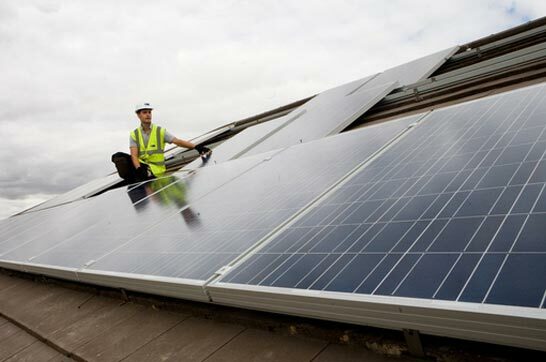 Alternatively, PV panels may be mounted on Ground which requires an area of 10 sq.m /KWp installed. Exclusive access to the area installed. Neighbors or Doorkeeper are not welcome at this area. Only Households residing in Villas (independent or townhouses) or low rise family type buildings are recommended to think Solar. Water source and proper drainage (To be installed by client under Cairo Solar supervision).